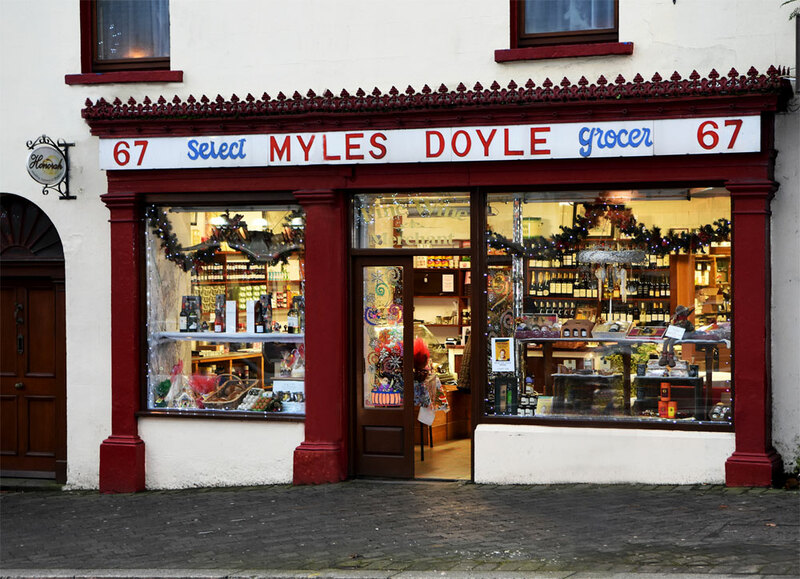 Myles Doyle Select Grocer and Fine Wines is located in a premises originally owned by the Kirwan family who ran a butcher’s shop up to 1956. Mylie Doyle inherited the shop premises from his cousin, Alice Kirwan, and opened his grocery store in February, 1966, a business he was very familiar with having worked for many years in Graham’s Pub & Grocery (now Bob’s Bar), Main Street, Gorey. Mylie’s son, John, has been working in the grocery store since leaving school. Retirement was never an option for Mylie Doyle and he continued working until shortly before his death in January, 2014. John Doyle continues the grocery tradition of his father in a way that matches customers’ expectations from a Select Grocery Store in 2015. Sourcing many of of products from the South East of Ireland, we have great local brands..
We are sending many of our products to countries all over the world. 67 Main Street, Gorey, Co. Wexford, Ireland.